The Tekken World Tour is back for another year and the fun begins at this year's Final Round. While the esports world has mainly had its eye on Intel Extreme Masters Katowice, there has been competition elsewhere. 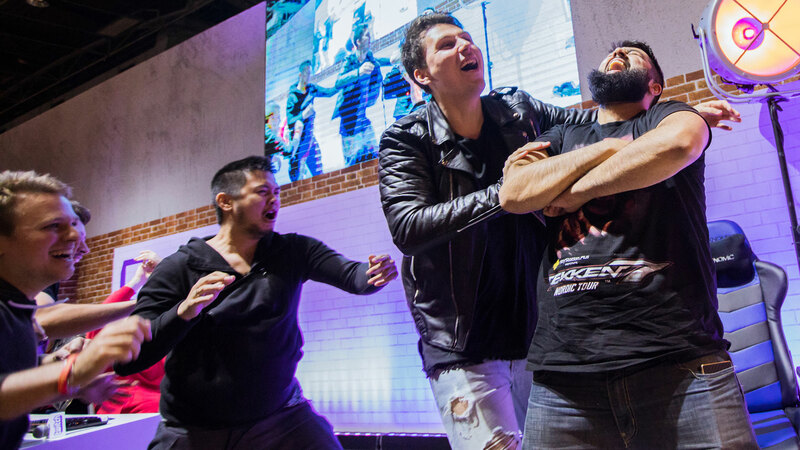 On Saturday, ELEAGUE held the Tekken Team Takedown, which housed a special announcement for competitive Tekken 7 players everywhere. The Tekken World Tour is making its return in 2018. After an exciting 2017 season that saw South Korea's Son "Qudans" Byung-Moon take home the 2017 Tekken World Championship, Bandai Namco will return with another 40 worldwide tournaments, held both offline and online. The road ultimately leads to the 2018 Tekken World Chapmionship global finals, which will be held in Amsterdam, Netherlands. Those who don't make it into the finals by then will have one last chance to get in, as Bandai Namco is introducing a Last Chance Qualifier tournament during the event's first day. Noteworthy changes to this year's tour includes one global leaderboard, as opposed to three regional leaderboards. The point structure will also divide events into Challenger events and Master events, with Top 16 finishes for the former and Top 32 for the latter awarding points. The Tekken World Tour begins in earnest in two weeks at Final Round 2018 in Atlanta, which is rapidly becoming a must-see event. More details can be found on the Tekken World Tour website. As for those curious about the Tekken Team Takedown, it was Team CuddleCore taking home first place. The team was led by Jeannail "Cuddle_Core" Carter, who took out some of Tekken 7's top players en route to the Grand Finals. But it was Jimmy "JimmyJTran" Tran that came in clutch in the final set, defeating three of the final four members of Team Pokchop (led by Ricky "Pokchop" Walker Jr.) to clinch the victory.